Surrounded by the green Roman countryside, where comes the fragrant wind of the sea, just 30 minutes from downtown, here is a dwelling place in the medieval age and converted into a hotel relais. Thanks to an accurate restoration is possible to make a step into history and relive the glories of bygone days. Surrounded by lush vegetation offers large outdoor and indoor space, an ideal setting for weddings, business meetings to stay in complete relaxation. The evocative atmosphere that you can live at this Relais makes a single reference point for those who want to find the beauty of nature, art and traditional cuisine in an atmosphere where time seems to stand still. Historic home of rare beauty, elegance and simplicity on Bracciano Lake, wanted by Prince Baldassarre Odescalchi in the mid-nineteenth century to select the best horses of that time. Always belonged to the Princes Odescalchi, the Stables are presented today as the ideal location for weddings and events of level even in winter thanks to the capacity of the large rooms all on one floor and connected to each other. Kept garden with alternating blooms throughout the year, French-style stream and 2 springs, one of which used as ninfeo. 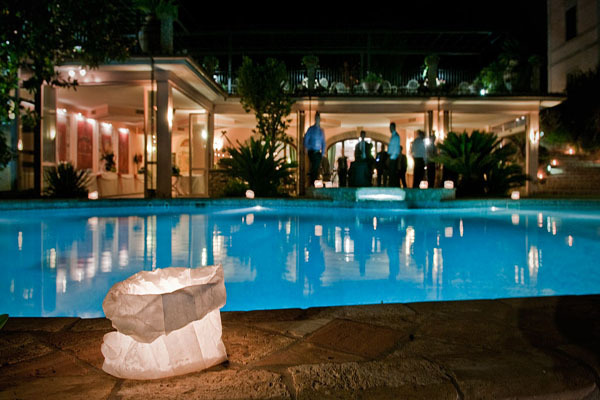 The splendid 19th century Villa is located in the heart of the medieval town of Manziana near Rome. Its unique and elegant rooms provide the perfect combination of classic style and modern comfort. The villa, built in the seventeenth century was used as a hunting lodge by the Court of Anguillara. 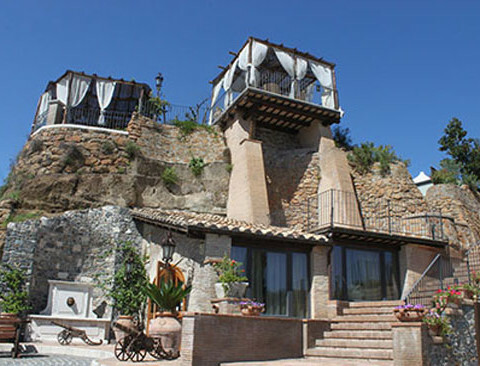 It has undergone many changes to finally become the beautiful Villa that stands today. Light was brought back to the ornate ceilings and fixtures which are mostly decorated in plant or floral styles. 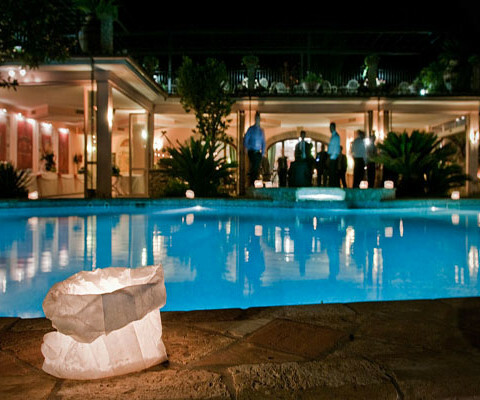 A delightful swimming pool was built on the grounds of the villa with its terraces overlooking the great valley below. 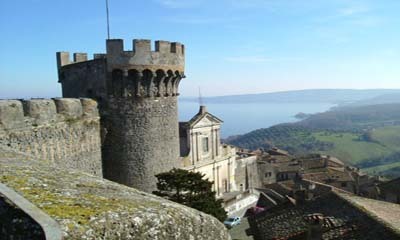 An incredible view takes your breath away as you gaze at the sky, the lake of Bracciano with its castle, and the ancient Roman Aqueducts of Traiano from 109 BC. 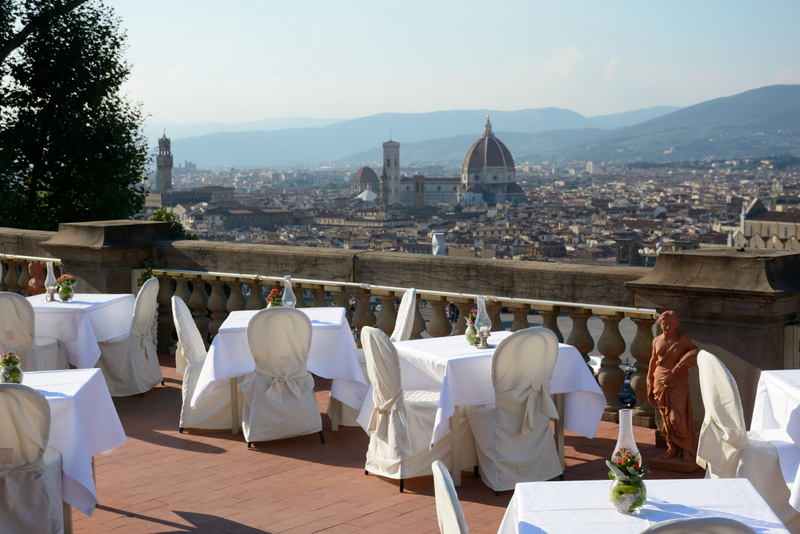 This exclusive location, from its privileged position that offers a panoramic view over all Florence, with its wide and versatile spaces is the ideal location to plan and personalize any type of event. Imagine a one century and half old historical building, decorated and embellished according to your taste exclusively for you. An ideal frame for an unforgettable Wedding. For such an important day this restaurant offers only the best: a breathtaking view up to the standards of the most challenging dream, a personalized menu that you will be able to personalize together with the Chef who will prepare exquisite dishes using only genuine and fresh ingredients. Fish or meat, you just have to ask. Choose also your cocktails and the refined wines treasured in our cellar that will be at your disposal for a bubbly or intense flavored and full-bodied toast.